In lieu of a Research Seminar this week, AMS is co-sponsoring (with PSI) a debate on George W. Bush's foreign policy. Lee Marsden of PSI and Timothy Lynch of London University will be speaking, whilst AMS's very own Richard Crockatt will be chairing. Wednesday 30 January, Lecture Theatre 4, 6.30pm. All welcome. A quick note on party identification: independents play an important role in American politics. As of February 2007, the Pew Center found that 34% of respondents identified themselves as Democrats, 25% as Republicans -- and a full third, 34%, as independents. True, these numbers shift somewhat if independents are asked how they "lean" -- giving Democrats a 50-35% advantage and just 15% as "true" independents. But "leaners," and independents generally, are fluid in their preferences. In 2004, independents tended to vote for Bush and the Republicans; in 2006 they went overwhelmingly with the Democrats, helping that party recapture Congress. How they break in 2008 will matter greatly for the outcome of the presidential race. See here for these figures and some interesting trendlines, 1987-2007. The South Carolina primary was split this year, with the Republicans voting on January 19 and the Democrats this coming Saturday, January 26. GOP voters in the Palmetto State – boosted by independents who chose to enter the primary – gave Sen. John McCain a 33%-30% victory over Gov. 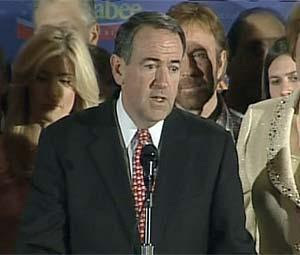 Mike Huckabee, with Mitt Romney a distant fourth at 15%. Former senator Fred Thompson, from neighboring Tennessee, nipped Romney for third, but with only about 16% of the vote; while this was better than his showing in earlier contests, it didn’t bode well for wider success, and Thompson left the race shortly afterwards. Interestingly, the role of independents is also key to the Democratic nomination. Sen. Barack Obama has attracted many new and unenrolled voters into recent primaries – but the huge array of contests on February 5, from Massachusetts to California, are, largely, closed to those voters (Georgia is an exception.) Further, intra-Democratic race issues came to the fore as the US celebrated the Martin Luther King, Jr., holiday, earlier this week. 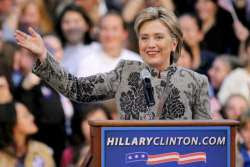 Obama has wrested an increasing share of African-American support from Hillary Clinton (whose husband was famously termed the “first black president” by Nobel novelist Toni Morrison.) This will matter greatly in Saturday’s South Carolina primary. But in the Nevada caucuses – where Sen. Hillary Clinton won the popular vote but at best split the delegates to be assigned in April – Latino voters were strongly (something like 2-1) in the Clinton camp. Los Angeles mayor Antonio R. Villaraigosa is an important Clinton supporter. 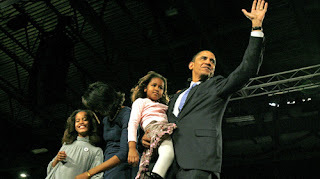 Historically, the African-American and Latino communities have tended to compete rather than ally, and this could be troublesome for Obama as the vote-rich Southwest goes to the polls. Stay tuned for more election updates, and feel free to leave your own thoughts in the comments. Yesterday was Martin Luther King Day, and his memory was kept alive in a variety of ways - some positive, others less so. America remembers, as demonstrated by USA Today and the BBC. 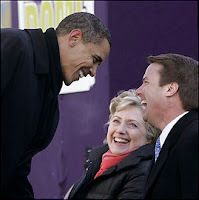 Whilst leading Democratic hopefuls Barack Obama and Hillary Clinton argue about who has the greatest claim to King's legacy, Martin Luther King III gave his support, and his father's endorsement, to John Edwards. In the troubled town of Jena, Louisiana, white supremacists choose Martin Luther King day to stage a protest march. Hip Hop journalist and video blogger Jay Smooth counts down "Ten OTHER things that Martin Luther King said." And finally here's the full version of King's speech from the March on Washington in 1963 - "I have a dream..."
This Wednesday (23rd January), the School of American Studies Research Seminar series begins again. Frank Cogliano (University of Edinburgh), author of Thomas Jefferson: Reputation and Legacy, will be speaking about "Agents of Empire: Exploration and Jeffersonian Expansion." Wednesday January 23, 4pm, Arts 2.51. All welcome. In the Michigan primaries on Tuesday, former Massachusetts governor Mitt Romney defeated Senator John McCain by a solid 39%-30% plurality, with Arkansas governor Mike Huckabee (16%) a distant third and other candidates barely registering. So the three nominating contests to date have been won by three different Republican candidates. The GOP race as it moves ahead to South Carolina is thus wide, wide open. Media types are already salivating over the prospect of a national convention with suspense (see here, for example). 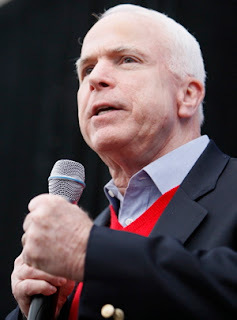 McCain was vaguely favored in the Michigan race after his win in New Hampshire on January 8. But unlike Romney he refused to promise massive government subsidies for the Michigan auto industry; and unlike any other Republican candidate, he has made environmental concerns key to his campaign. Michigan is bipartisanly sceptical of global warming, at least if it is thought to be caused by internal combustion engines. 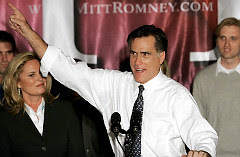 Note that in terms of the delegate count, Romney’s victory matters less than it might have – the Republican party stripped Michigan of half its delegates to the national convention as punishment for scheduling its primary before February 5. (The Democratic party stripped Michigan of all its delegates, for the same reason – hence the lack of attention to that side of the ballot.) However, in broader terms, this was a critical win for Romney – his campaign is, once again, on the positive side of the amorphous flow of conventional wisdom regarding “viability.” South Carolina should be interesting, as it provides potential constituencies for all three leading GOP candidates: religious evangelicals for Huckabee, military personnel and veterans for McCain, and anti-union industrialists for Romney. And don’t forget Fred Thompson, the former senator from nearby Tennessee, whose good-ol’-boy demeanor lies in wait as southern states start to vote. 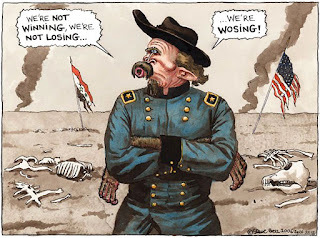 In 2000, McCain lost to George W Bush in a contest marked by slander and slur – then-governor Bush was of course shocked (shocked!) to hear about what anti-McCain forces were putting into the rumor mill. This time around, McCain is better prepared. He’ll need to be, as he probably needs to win or come very close to demonstrate that he appeals to Republican stalwarts and not just New Hampshire libertarians. A quick announcement that tomorrow (Tuesday) evening, Andy Rudalevige (currently visiting AMS from Dickinson College) will be giving a talk for the PSI research seminar series. In his own words, it will be a "brief history of the development of the US nominating system then an update on the campaign thus far and yet to come." "Taking Stock of the 2008 Presidential Election"
This week's Letter From America comes from Melina Nicolaou, who is currently spending her year abroad at Roanoke College in Virginia. "I'm studying at Roanoke College in Salem,Virginia, which is located in an area rich in American history. The first settlers arrived in Virginia, after all! 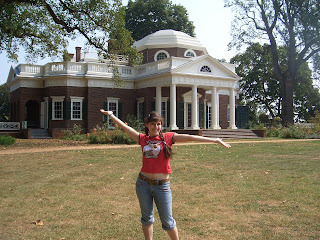 Thomas Jefferson's home, Monticello, is here (pictured above) as is the rotunda he designed for the University of Virginia. We were able to visit his home and the University with our International Club. 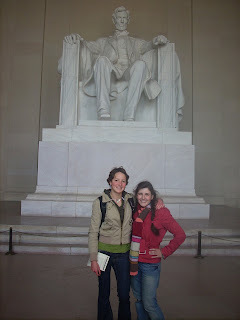 In the club, we have organised trips to many places including Washington D.C. (pictured below) and Charleston. The trips are the highlight of being a member of the club (and I was also treasurer!). I am enjoying every minute of my time here and I can imagine that it will be impossible to leave at the end of the year!" The Iowa Caucuses took place last night, and Barack Obama and Mike Huckabee were the winners. If you need an introduction to this intriguing process, then CNN has a useful beginner's guide here. Assessments of these victories are likely to proliferate, but for now, Salon dissects Obama's victory, whilst Time ponders whether Huckabee can stay on top. The next big event of the 2008 election will be the New Hampshire primaries, next Tuesday. How significant do you think these victories are? Let us know in the comments.